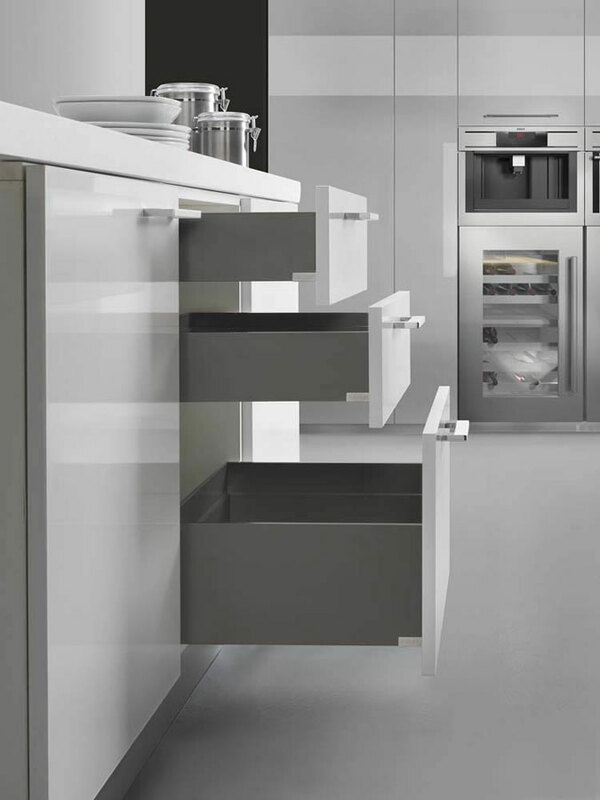 A sophisticated aesthetics and quick and easy assembly are the elements that characterize Lineabox, the new metal drawer system from Salice. 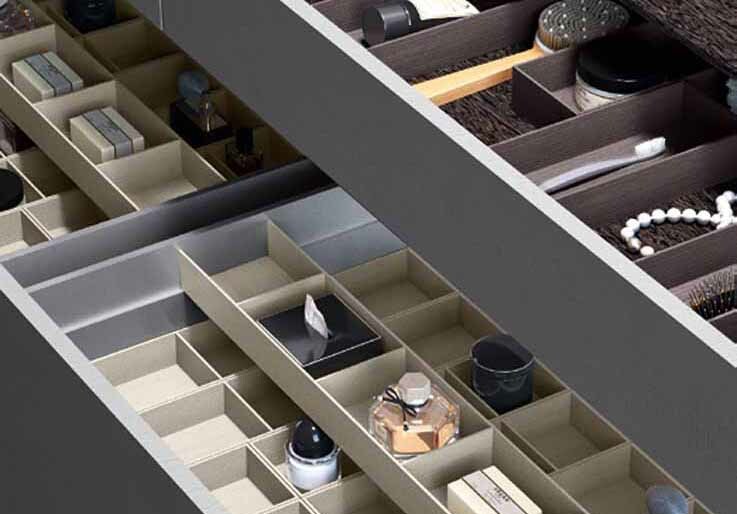 Lineabox, the new and innovative metal drawer system of the future, is characterized by clean and simple lines and by a streamlined and sophisticated aesthetics. 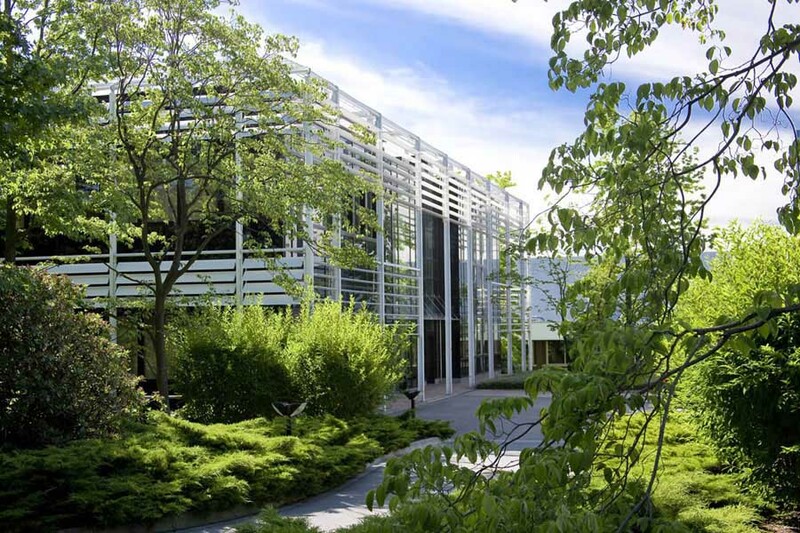 A product that combines beauty with functionality, harmonious forms with practicality. 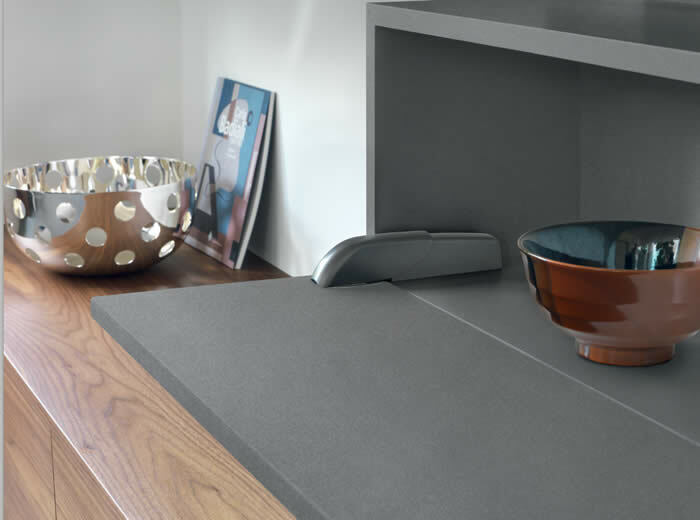 The elegant and versatile Lineabox, one of the thinnest drawers ever, can easily satisfy each customer’s need. 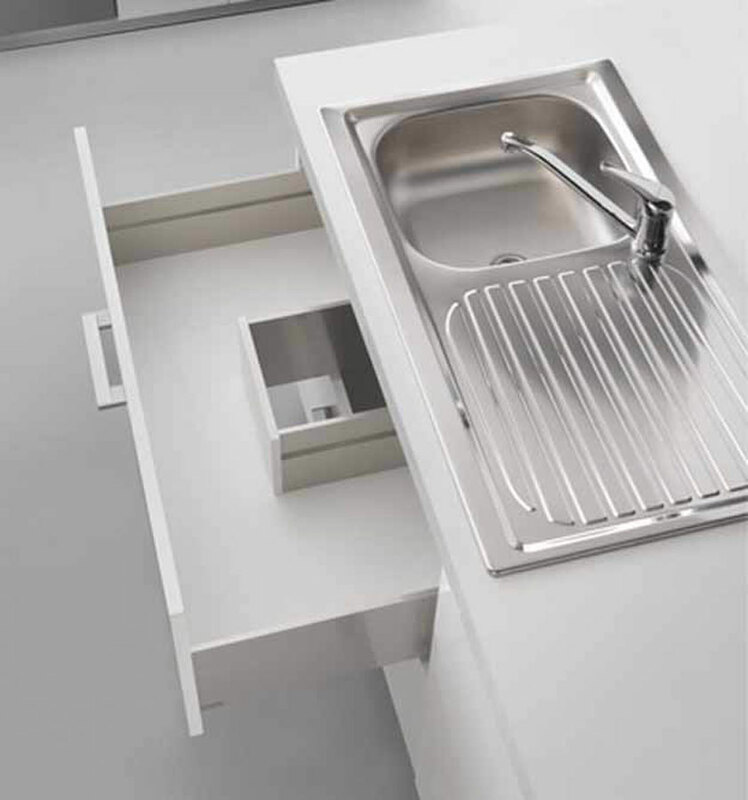 The same components that make up the drawer can also be used to create under-sink and the sink waste cut-out drawers. Totally uncluttered with holes or assembly components, it is available in 3 different heights and can be 4 and 3 sided in metal or also 2 sided with the drawer front and back made of wood. 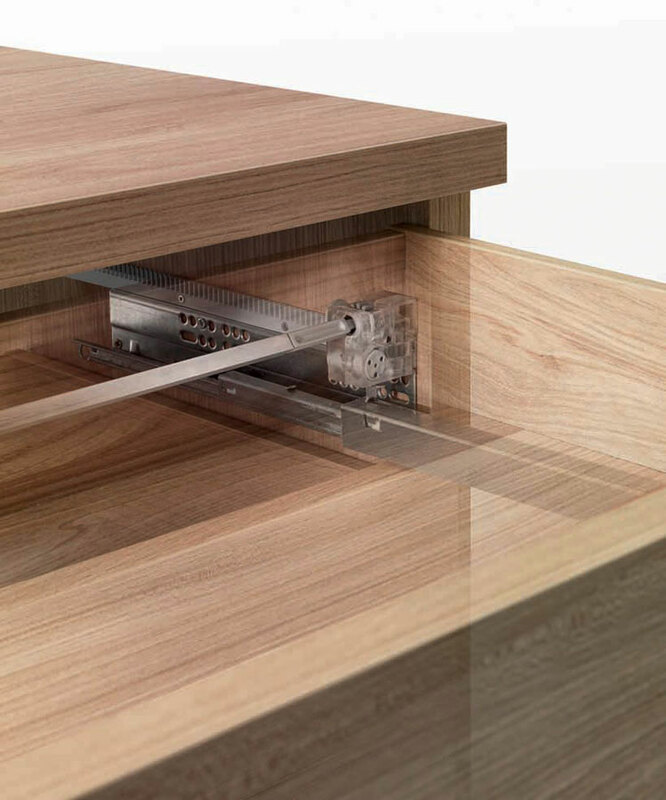 The slim 9mm wall thickness makes Lineabox one of the thinnest drawers ever. Its elegant and refined finishes complete the picture: white, titanium, champagne and stainless steel. Lineabox is very versatile and highly customisable. 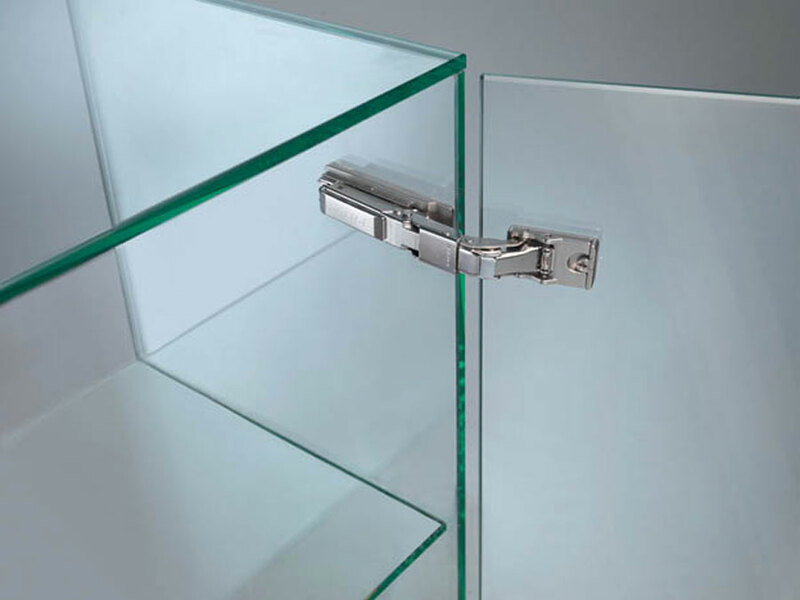 Thanks to connectors, the assembly is easy, quick and immediate and it does not require any special working of the front panel or the bottom. There is no need for machines or templates for the assembly. 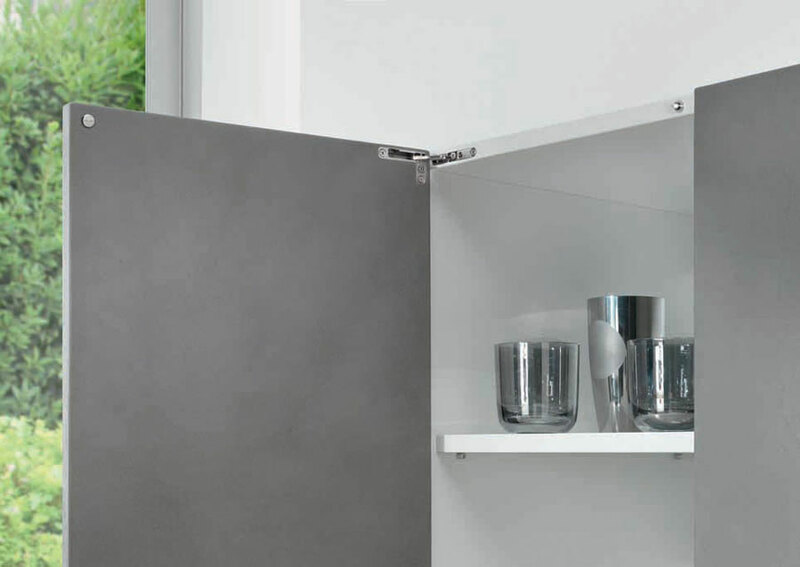 The back dimensions can be personalised according to the width of the cabinet. The sliding movement is fluid and silent. 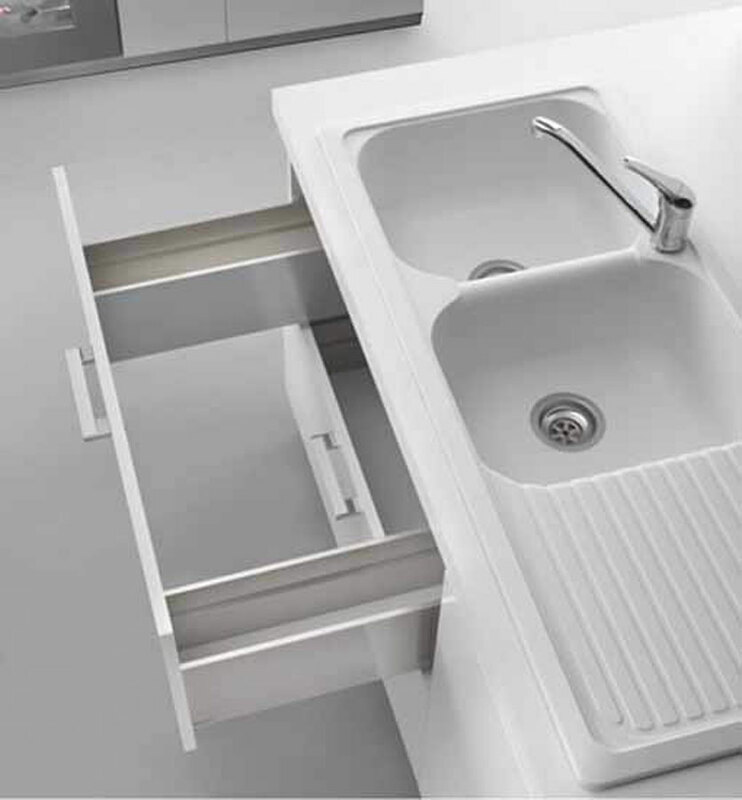 The drawer is suitable for all applications including kitchens, living rooms, bathrooms and office furniture. 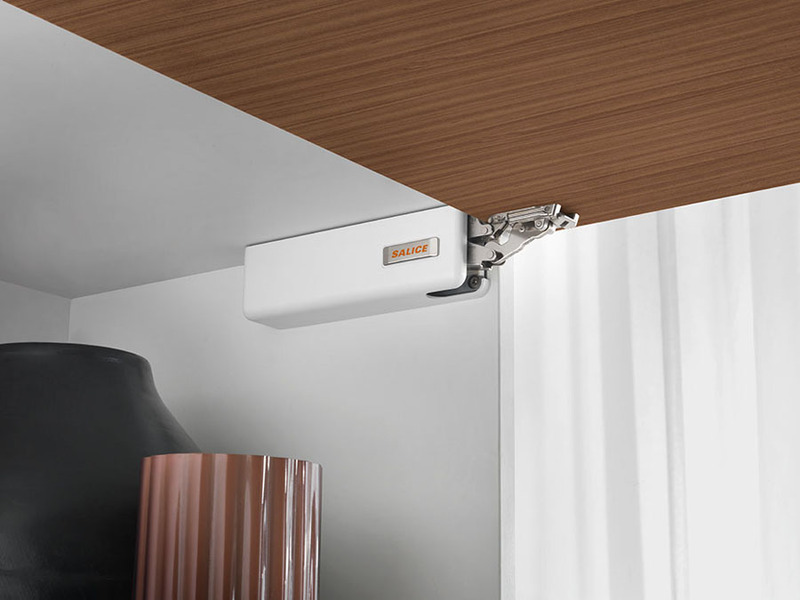 Salice presents Wind, the new lift system combining the highest levels of performance with smooth and perfectly controlled movement. 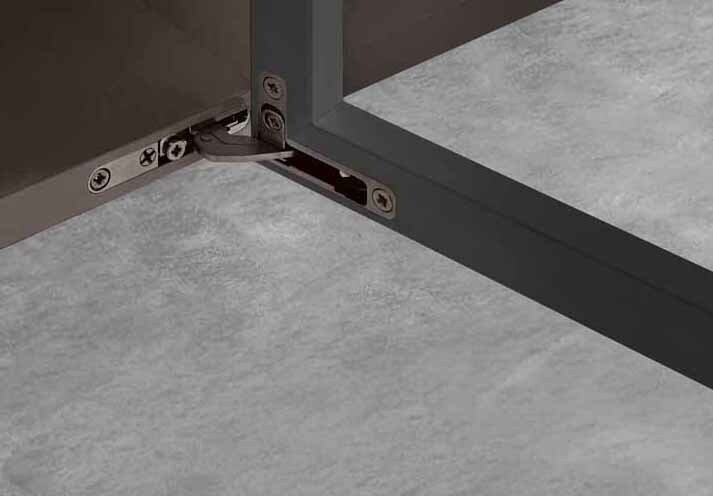 Pacta is the hinge for fall flaps by Salice, which allows to open and close the doors without the help of any additional element and which guarantees great stability and resistance. 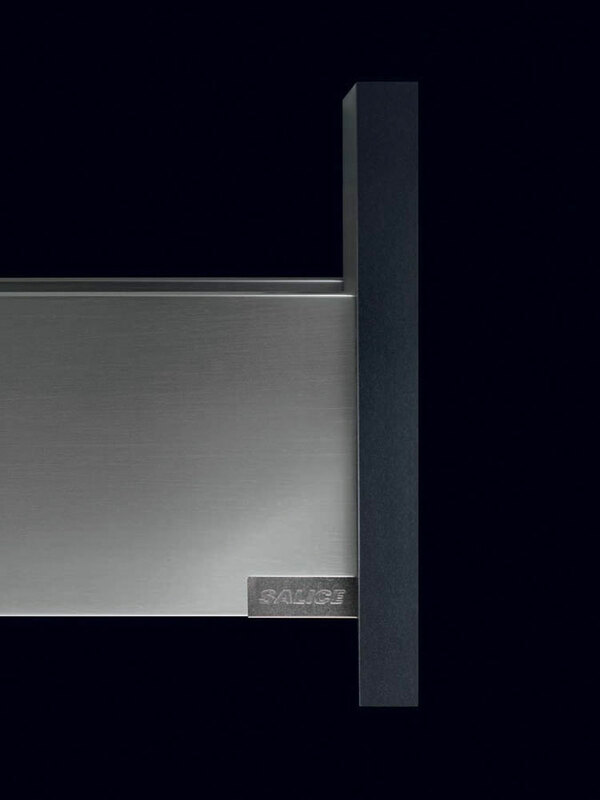 The invisible Air hinge by Salice wins the prestigious IF Design Award 2018, among the products in the Home Furniture category for high technology and refined design. Salice has created Split, a system of containers that allows you to organize the interior of a drawer in total freedom of composition, optimizing spaces in the name of order and aesthetic taste. Furnishing Idea P.I. 03442590133 Ⓒ2013-2019 All rights risevati is forbidden even partial reproduction of the contents.